While Mueller’s findings were celebrated by some, others insisted that the special counsel’s report must be released in full to the public and urged people not to jump to conclusions until then. News of the fact that Mueller’s investigation did not find any evidence of alleged collusion between Trump’s campaign staff and Russia, and that Mueller’s team has no plans to issue any new indictments, left the president’s supporters cheering and gleefully mocking their detractors. — LIN❤️🥊🥋⭐️⭐️⭐️GenFlynn♥️🇺🇸1st (@LindaTrump3) 25 марта 2019 г. — 🇺🇸🇺🇸Patriot-Billy-NC🇺🇸🇺🇸 (@patriot_billy) 25 марта 2019 г. — Proud American🇺🇸 (@ACHopkinson) 25 марта 2019 г. — Rad123 (@Tombx7M) 25 марта 2019 г. ​A number of people also saw this occasion as a perfect meme-making opportunity, getting creative in their mockery of the "collusion theory" proponents. — Brendgame (@Brendgame) 24 марта 2019 г. — daniel rumbley (@drumbley05) 24 марта 2019 г. — fallenPress (@fallen_press19) 23 марта 2019 г. — Maycie-That Blogging Mama (@_SimplyInsanity) 25 марта 2019 г. ​Some also were quick to recall the memes caused by Trump’s detractors, joking about how they look now in the wake of Mueller’s revelations. — ROB (@Berrettaman28) 22 марта 2019 г. — 🍀 Dura Matters 🍀 ✝️ (@HouseOfDowd) 23 марта 2019 г. 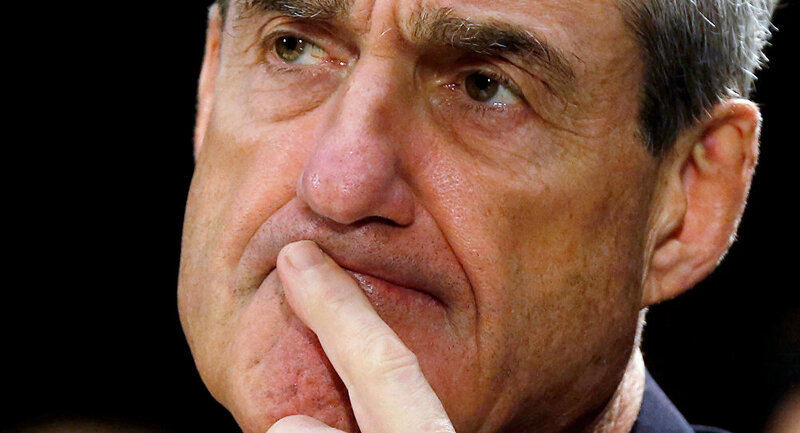 ​Meanwhile, many of those who were apparently hoping for the special counsel to uncover some damning facts about Trump quickly switched gears and began insisting that it’s not over until Mueller’s report gets fully disclosed to the public. — Jill Wine-Banks (@JillWineBanks) 25 марта 2019 г. — Dr. Dena Grayson (@DrDenaGrayson) 24 марта 2019 г. The #MuellerReport did not exonerate you. If you really are secure that you and your family are not implicated in any collusion, demand that AG Barr release the full report. — Victoria Brownworth (@VABVOX) 24 марта 2019 г. — Adam Schiff (@RepAdamSchiff) 24 марта 2019 г. ​There were also those who pointed that while Mueller lacked evidence to prosecute obstruction of justice, he did not exonerate Trump either. The #MuellerReport explicitly chose to NOT “exonerate” @realDonaldTrump. Although Trump’s AG (who got the job by denouncing the investigation) chose to not charge Trump with a crime, Trump has not been exonerated by Congress. Now, our work begins. — Eric Swalwell (@ericswalwell) 24 марта 2019 г. — Tara Setmayer (@TaraSetmayer) 24 марта 2019 г.